The Harvard-Yalification Of The Supreme Court If Elena Kagan is confirmed to a seat on the Supreme Court, it will lead to an Ivy League clean sweep: Each of the justices will have attended law school at either Harvard or Yale. But should a diploma from one of the country's top two law schools be a prerequisite for a job on the court? 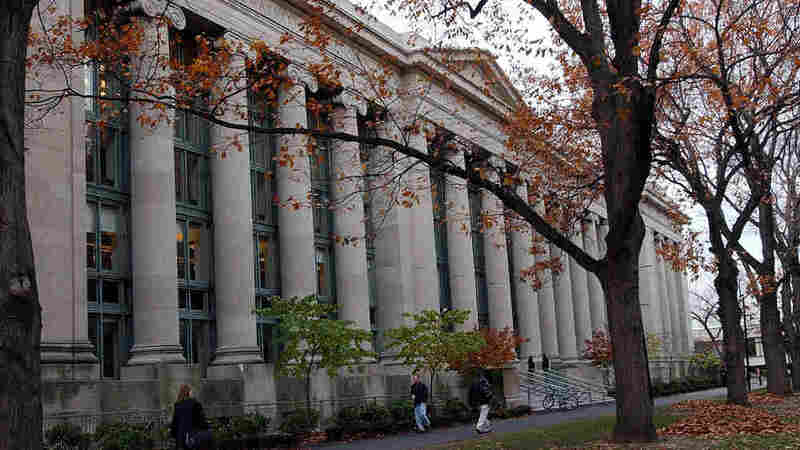 Students walk near the law school on the campus of Harvard University in Cambridge, Mass. If Elena Kagan is confirmed to a seat on the Supreme Court, it will lead to an Ivy League clean sweep: Each of the justices will have attended law school at either Harvard or Yale. It raises the question: Should a diploma from one of the top two law schools in the country be a prerequisite for a job on the high court? It's not as if the rise of the Harvard-Yale hegemony is new in Washington. Each of the last four presidents passed through those two institutions, as well. But Kagan would replace Justice John Paul Stevens, who attended Northwestern University's law school, ranked No. 11 by U.S. News & World Report. And the half-nelson grip on entry to the high court by top-ranked Yale and Harvard is a little odd to some observers, especially those from different time zones. Here's where Supreme Court justices went to law school. Dan Farber, who teaches at the University of California, Berkeley, School of Law, which ranks seventh, says, "It does seem kind of weird that Stanford -- which is ranked right up there with Yale -- doesn't have that kind of representation." The idea that someone from Berkeley would complain about a slight against archrival Stanford shows just how surprised some Westerners are about their total shutout on the current court. Stanford, ranked No. 3, sent both William Rehnquist and Sandra Day O'Connor to the Supreme Court. Washington and Lee: Lewis F. Powell Jr. Author Nicholas Lemann says that the Harvard-Yalification of the court marks a resurgent elitism in American society. "It really represents an unstated but quite powerful consensus that there is a narrow channel through which you have to pass to be a Supreme Court justice," Lemann says. Lemann says that the Kagan nomination points to a growing lack of diversity when it comes to background and experience. "If they haven't done certain things by the time they are 25 or 30 -- game over," Lemann says. Gone are the days, Lemann says, when experience in politics was seen as a gateway to the court -- as was the case with Justice Earl Warren, a former California governor. 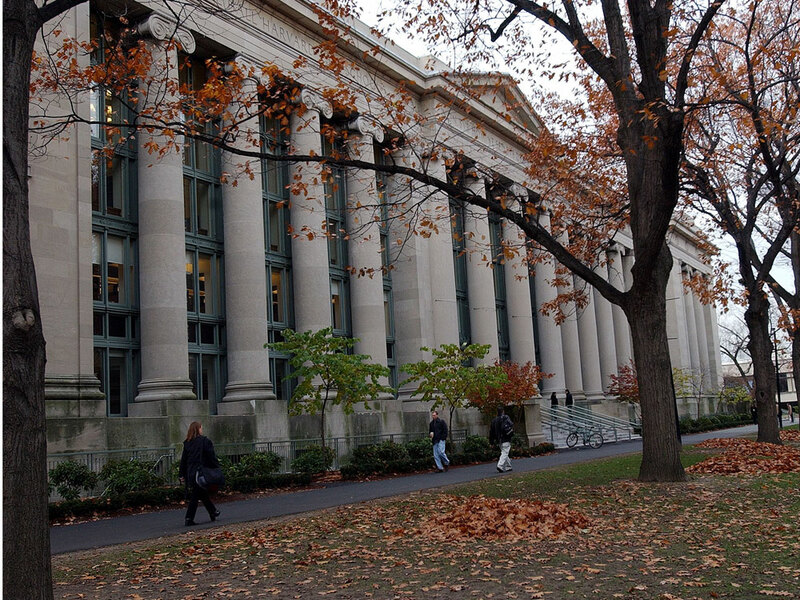 Others look at the Harvard-Yale nexus and say: So what? Stanford Law professor Pamela Karlan says that an education resume just isn't that important in the final analysis. "I don't think anybody is nominated to the Supreme Court because of what they did as a child," Karlan says. Kagan graduated from Harvard nearly 25 years ago, although because she served as law school dean there from 2003 to 2009, her ties to the school are awfully strong. Still, Karlan says, we shouldn't make too much of what is essentially a coincidence. "Graduates of elite universities do all sorts of things in their professional careers, just as graduates of not particularly selective law schools often go on to elite positions," Karlan says. And, many observers say, the Harvard-Yale pedigree is just a safety net that helps preempt potential criticism of a nominee's bona fides. And the truth is, using top schools as a filter makes life simpler for busy presidents and for Supreme Court justices when they choose their clerks. Justice Antonin Scalia, Harvard Class of 1960, admitted as much in an address last year when he said his favorite court clerk was Jeff Sutton, whom he inherited from Justice Lewis Powell. "But I wouldn't have hired Jeff Sutton for God's sake! He went to Ohio State," Scalia said. The audience laughed, but Scalia wasn't being ironic. He said he believed the best schools admit the best and the brightest, and the best and brightest walk out of those schools as well. The chief flaw with the Yale-Harvard test is that it leaves out people who couldn't get into those two schools -- which is to say, most of us. In 1970, Sen. Roman Hruska defended high court nominee G. Harrold Carswell against the charge that he was mediocre. "There are a lot of mediocre judges and people and lawyers. They're entitled to a little representation, aren't they?" Hruska said.